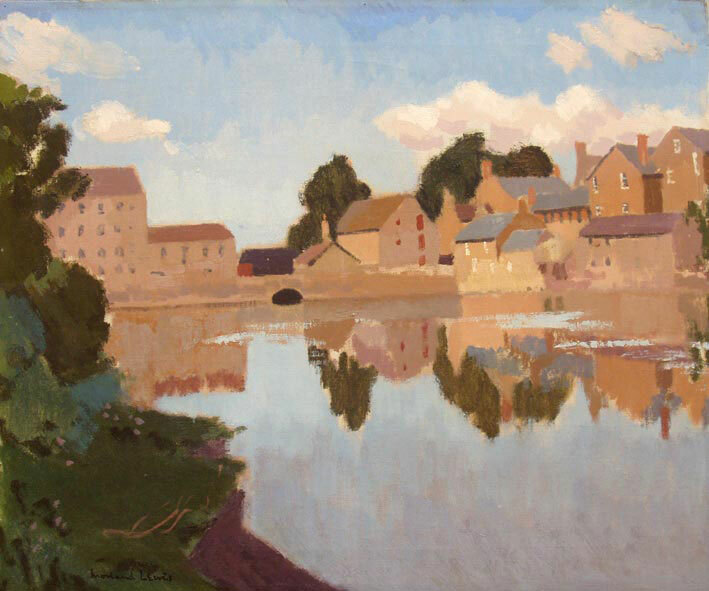 Edward Morland Lewis was born in Carmarthen in 1902. 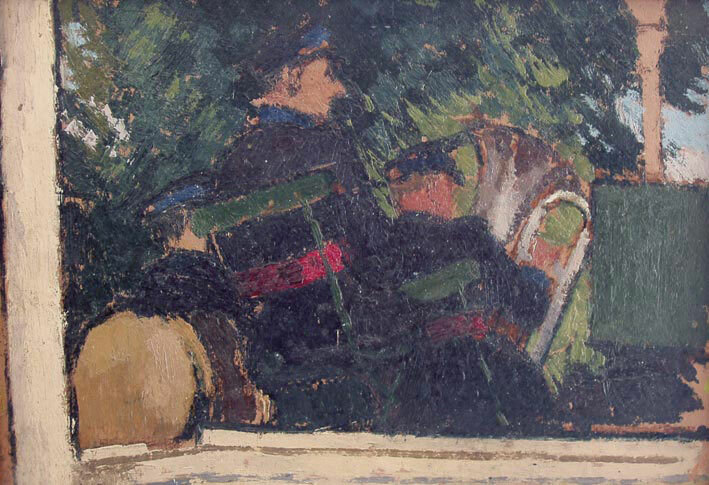 He trained at St John's Wood School of Art and at the Royal Academy Schools, London where he met Sickert. 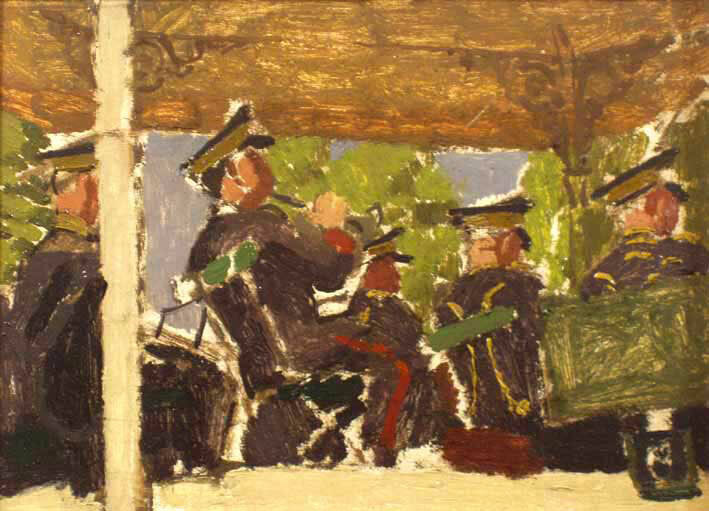 Morland Lewis promptly left the academy to work under Sickert as pupil and assistant. 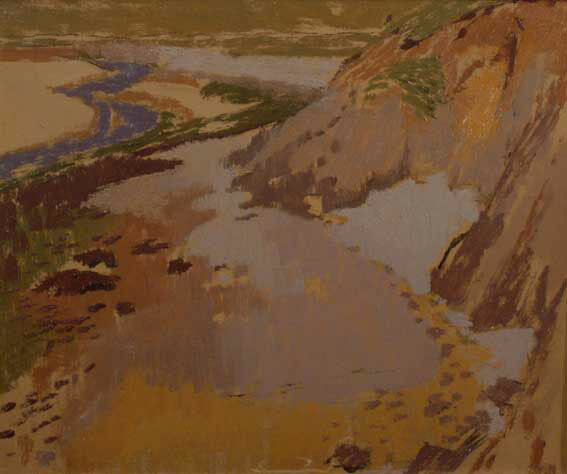 In 1930 he joined the London Artists’ Association and exhibited with this group until it disbanded in 1934. Many of his paintings were based on photographs he took himself. Like Sickert, he tended to paint patchwork areas of colour laid over warm under-painting. He concentrated on the seaside towns of south Wales, Ireland, northern France and Spain. A comparison of one of his photographs with the painting of the same scene reveals how completely he transformed the information from one medium into the language of another. The main composition is faithfully transcribed, but the tonal relationships are slightly exaggerated. He joined the staff of Chelsea College of Art, where his colleagues included Henry Moore, Graham Sutherland and John Piper. He died in north Africa in 1943 while on active service as a camouflage officer.